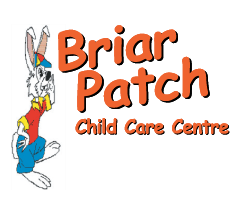 For your convenience, The Briar Patch Child Care Centre has provided answers to questions we frequently hear from parents. If you need more information, please feel free to contact us. Q: What days do you close during the year? A: We are only closed for statutory holidays. Q: Do children have to be toilet trained to attend? A: No. Children may start attending before they are toilet trained. The staff will help support this training as the children show readiness for it and the parents also wish to begin at home. Q: Do we have to bring our own dishes or cups? A: No. All dishes, cups and cutlery are provided in each program. Q: Do you supply food? A: No. Due to the many allergies that children may have, we do not supply food on a daily basis. All snacks, lunches and drinks are to be supplied by the family. We do provide ample space to leave a reasonable amount of food at the centre so you are not required to bring things in every day. On special occasions or “cooking” days, there may be snacks that are shared with the group as a whole with the utmost care being taken to avoid any foods that children may have allergies to. Q: Is there a discount for more than one child from the same family? A: No. All children are enrolled at the same rates depending upon which program they are attending. Q: Do we have to pay for vacation days? A: All fees are on a monthly basis. If you wish to take 1 or 2 weeks of vacation time, then you are still required to pay the monthly fee in order to “hold” your child’s space for when you return. Q: Does my child have to nap? A: Your child does not have to nap but all children are required to have a rest time due to the busy nature of daycare. The length of nap time is determined once a child has become used to the program and with input from the parents.